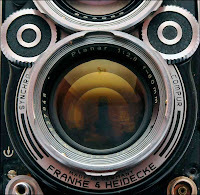 Imagine if you had to choose just one camera and lens for all your photography for the rest of your life. You can make it whatever you want but there’s no going back. Film or digital? 35mm or medium format? Large format? You can make a case for lots of different cameras depending on the type of work you want to do with them. Given that scenario, I’d go for the Rolleiflex 2.8F every time. Over the years I’ve used a lot of cameras. Some of them I’ve posted about under the “favourite cameras” tab. I’ll get round to writing about some others one day but the one that never failed me and proved more versatile the more I used it was the Rollei. I say “was” because I haven’t put a roll of film through it for years. And the bad news is that it has now started to develop a little fungus between the elements of its fabulous 80mm Planar lens. Of course, it’s that superb glass that is the heart of the Rolleiflex and that’s why I’m thinking about sending it away to be CLA’d. The focusing screen is also a little dim now having picked up some scratches over the years. That’s the real reason that the Rollei hasn’t seen a lot of use over the last decade: I found I could no longer easily focus it. When you look down into the collapsible hood you see a picture that is laterally reversed. It takes a little while to get used to this but pretty soon it becomes second nature. I’d lost the knack when I picked up the Rollei after a period of years and when I found that I was really having to strain to get the image in focus as well, I decided it was time to put it aside. I read on the internet about replacement screens but these were so expensive I couldn’t justify the outlay. Then someone said that a Mamiya RB67 screen could be cut down to fit and that made more sense. I managed to get one off Ebay but haven’t fitted it yet. Maybe whoever does the CLA can fit it for me. It was round about that time, say six months ago, when I noticed that the glass wasn’t looking quite as pristine as it used to. The camera’s in pretty good condition considering it’s about 46 years old – just a couple of years younger than I am – but it’s always suffered from sticky slow speeds. Normally the one and half second setting will fire OK but sometimes the shutter sticks wide open. That’s something else that the CLA should cure. 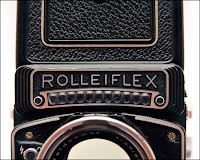 So what’s so good about the Rollei? First, kind of like the Leica, it’s just a beautifully built camera that’s lovely to hold and operate. Unlike the Leica, however, which produces results that are not discernibly better than other top 35mm cameras, the Rollei’s images are superb. When you pop a fantastic lens like the 80mm Planar on the front, couple it to a near silent and vibration-free shutter and add in the Rollei’s engineering integrity, you have a recipe for success. OK, so I’d be restricted to just one lens instead of choosing a camera with a zoom but the 80mm focal length equates to something like a 35mm lens on the 35mm format if printed square and a 43mm lens if printed onto 8×10″ paper and is much more versatile than you’d think. The vast majority of photographs during the film era were taken somewhere in the 40-50mm range although I’d imagine that would no longer be the case for digital cameras most of which are equipped with wide-range zooms. A focal length of 40mm or so is my favourite anyway so the Rollei is ideal for my particular view of the world. Nowadays, I’ll come back from a photography trip with hundreds and hundreds of images, many of which are duplicates of the same scene as I tried different views and adjusted exposure, etc. With 35mm this tendency was nowhere near as acute but out of 36 explosures it was uncommon for there to be more than about eight that you could say were different in the sense of being completely separate photographs rather than variations on a theme. With the 12 shots available on the Rollei (24 if you used 220 film), you had to make every one count. Under that sort of pressure I definitely took far more care and gave the scene much more thought. Then there’s the square format. If you’ve only ever seen the world as a rectangle, you tend to think that it will be difficult composing within a 6x6cm square. But you’d be wrong. It didn’t seem to matter whether it was a landscape, a portrait, a street shot, or whatever, the square format is just a powerful way of representing a three dimensional world in two dimensions. It’s especially good for street work or, strange as it might seem, as a walkabout camera. It doesn’t appear to intimidate people the way a big DSLR like the D700 can and the fact that you’re looking down into the hood lends the process of photographing someone an air of detachment. It’s just less confrontational. 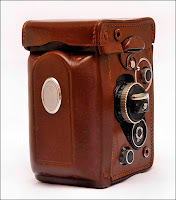 Looking at some of the pics on this post, I can see that my Rollei might need a bit of a renovation on top of a CLA. It’s missing some leather from the front panel from the time a few months ago when I decided to take the front off to see if I could get at the fungus. That’ll need to be replaced. Then there’s a lump under the leather on the winder side of the camera where there’s some corrosion on one of the screw heads. Maybe it’s time to strip all the leather off, clean everything up and give it a new set of clothes courtesy of cameraleather.com. They do a leather kit that is virtually identical to the original but I quite fancy the British Racing Green calfskin. Nice! That’s the Rolleiflex 2.8F, then. A versatile, reliable, beautifully made camera that’s capable of the highest quality photographs. A little TLC and my Rollei will be fit enough to take outside again with a few rolls of XP2 for company.